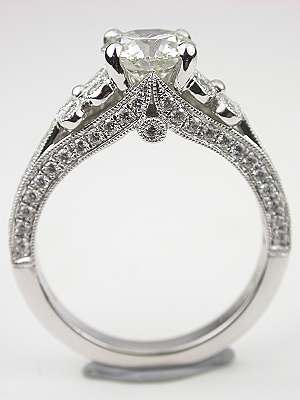 A dramatic design and unusual elegance come together in this diamond engagement ring from the Topazery Collection. 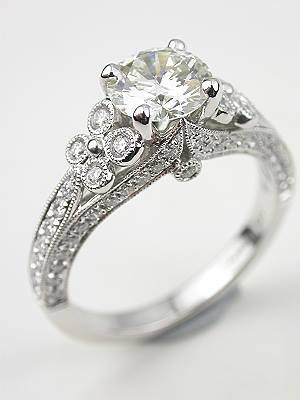 A floral and diamond design on the shoulders enhances this 18k white gold antique style engagement ring. 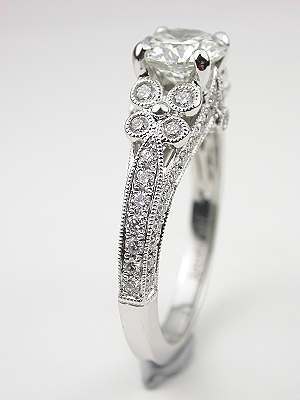 In total, seventy-four round brilliant cut diamonds totaling 0.50 carats adorn the band. Eight of these diamonds, four on each side, are arranged in the floral design. 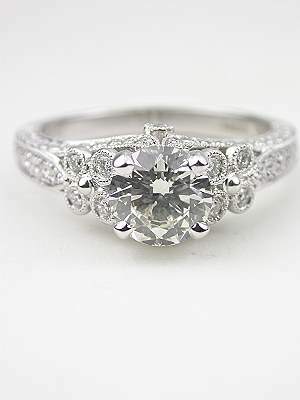 The diamond flowers flank a 1.12 carat GIA certified round brilliant cut diamond at the center. 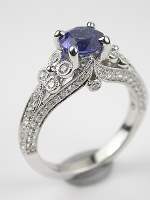 This diamond is J in color and has a clarity of SI2. 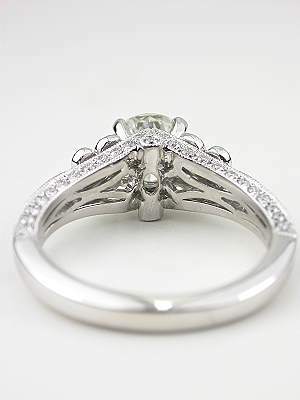 This is a new engagement ring. 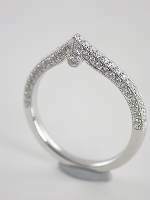 Special characteristics A matching band is available and may be purchased separately. 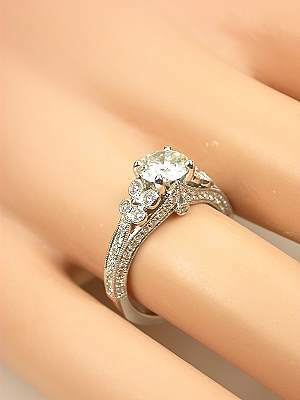 Please see item RG-2817wb.